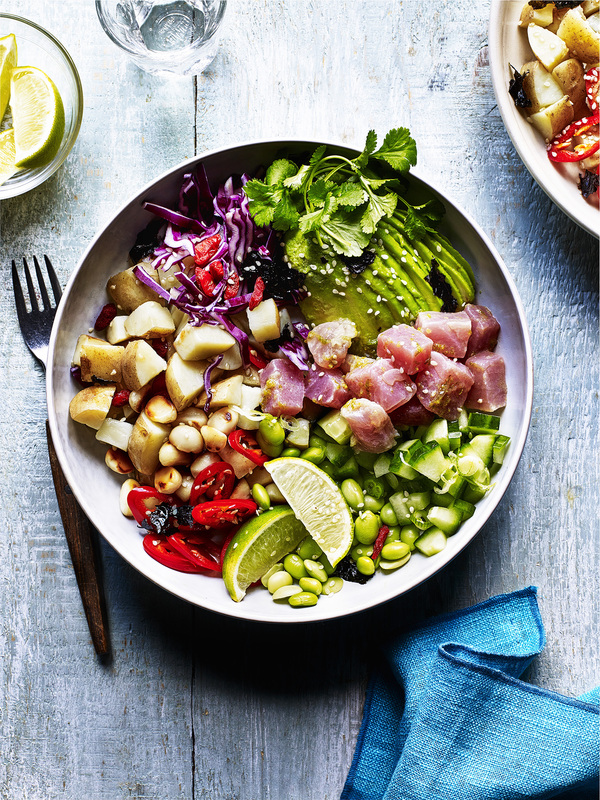 This Buddha Bowl recipe is a colourful creation bursting with flavour! Ideal for those warmer evenings or when you have a few people to feed at a party or gathering. If you're vegan or vegetarian then all you need to do is substitute the tuna for more avocado. A fantastic easy-to-follow dish which you can whip up in no time at all! Boil the potatoes, drain and cool. Cube the tuna and mix with the lime juice and zest, soy sauce and sesame oil and leave to marinade for 4 minutes. The perfect fluffy, chunky cut chips with a delicious steak, topped off with a fruity salsa, perfect with the cajun seasoning. What better way to impress?